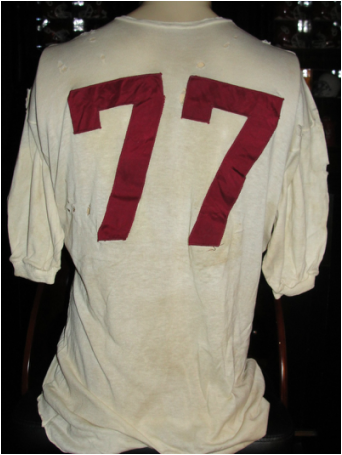 This style of jersey was worn by the University of Oklahoma in the 1950's and 1960's. Possibly worn by Jim Tyree (although not proven) regardless it's an excellent representation of the button crotch style that was popular for many years. 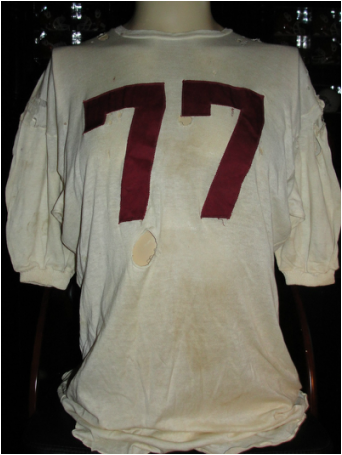 The jersey shows good game use with numerous team repairs throughout. 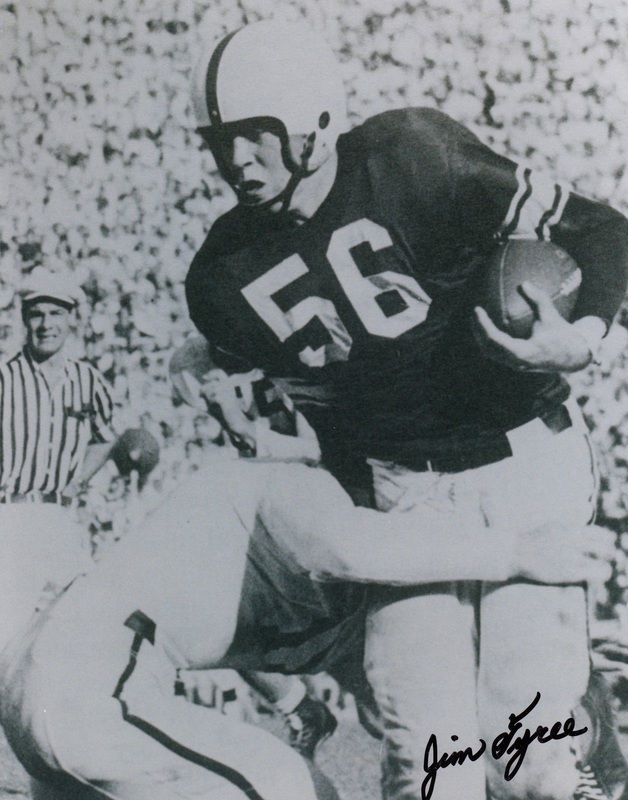 ​Bo Bolinger was named a consensus All-American in 1955. 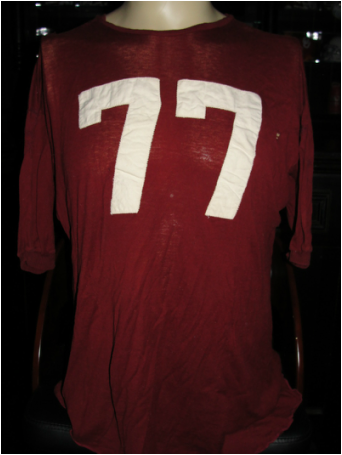 Bolinger was a key to an offensive line that led Oklahoma to a national title in 1955. Oklahoma finished first nationally in rushing and total offense. During that season, Bolinger finished ninth in the Heisman Trophy voting. 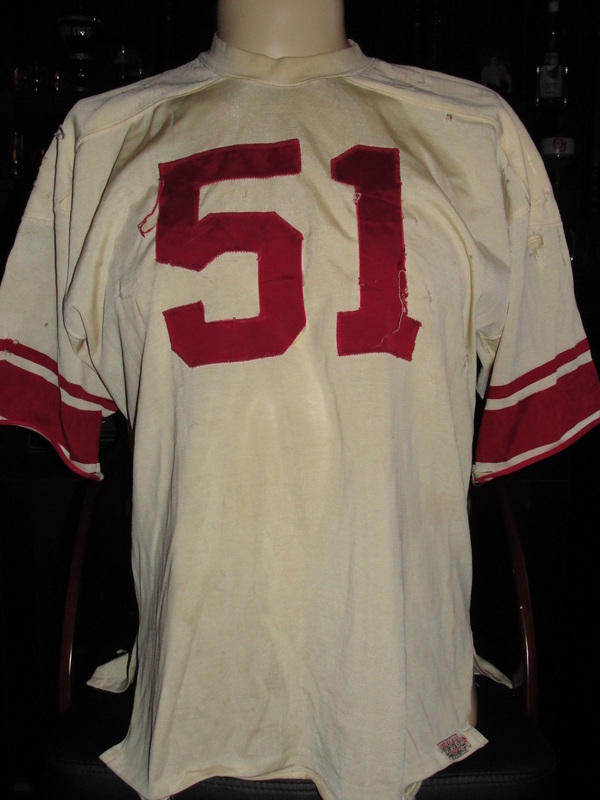 He was drafted in the 13th round by the Chicago Cardinals in 1956. Carl McAdams was an All-American at the University of Oklahoma and an integral part of the 1968–1969 AFL Champion and Super Bowl Champion New York Jets. When McAdams signed with the Jets, it was the largest contract for a lineman up until that point. 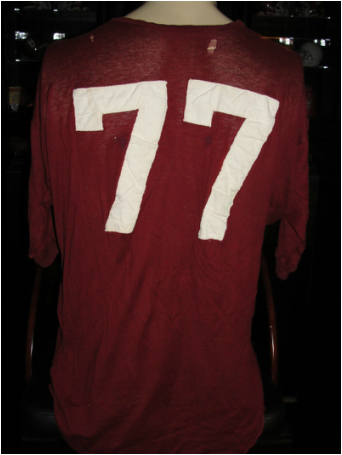 The sleeves of this jersey have been cut off at some point. 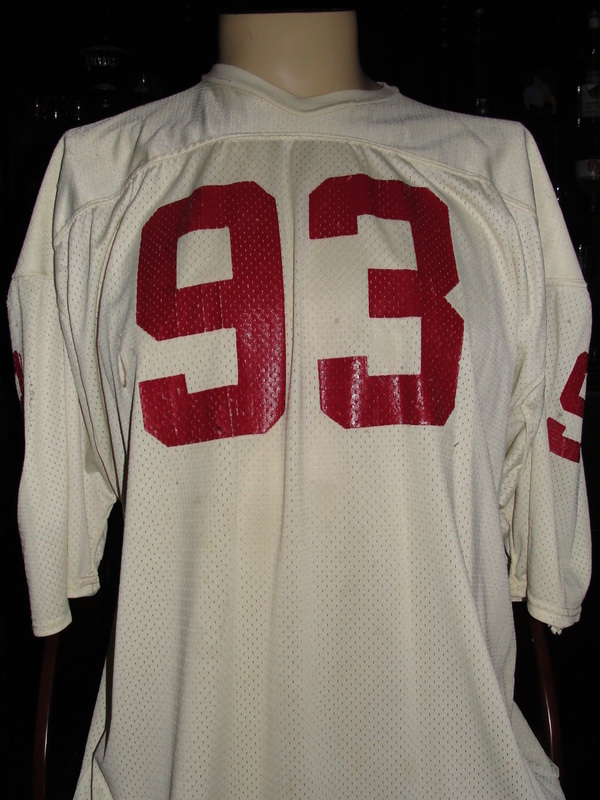 The jersey shows tremendous game wear and use throughout. 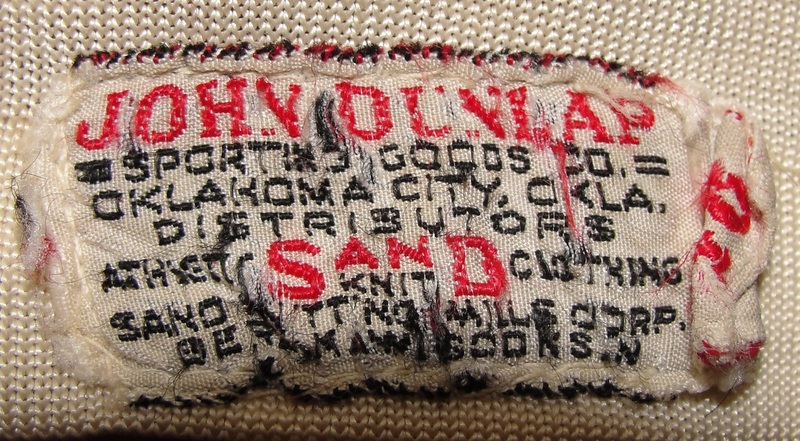 Proper Sand Knit tagging distributed locally from John Dunlap Sporting Goods in Oklahoma City. 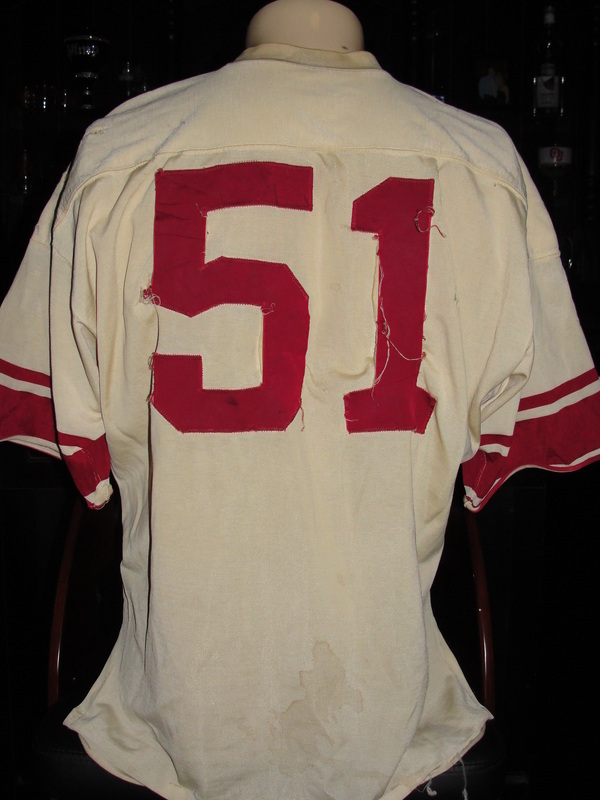 Ralph Neely played college football under coaches Bud Wilkinson and Gomer Jones. He was a 261-pound tackle who played both ways, as a dominant performer on defense and an excellent blocker on offense. He was named the Big Eight sophomore lineman of the year and was a two-time All-American and an all-conference selection in both 1963 and '64. Neely was an four-time All-Pro and a two-time Pro Bowler in 1967 and 1969 with the Dallas Cowboys. 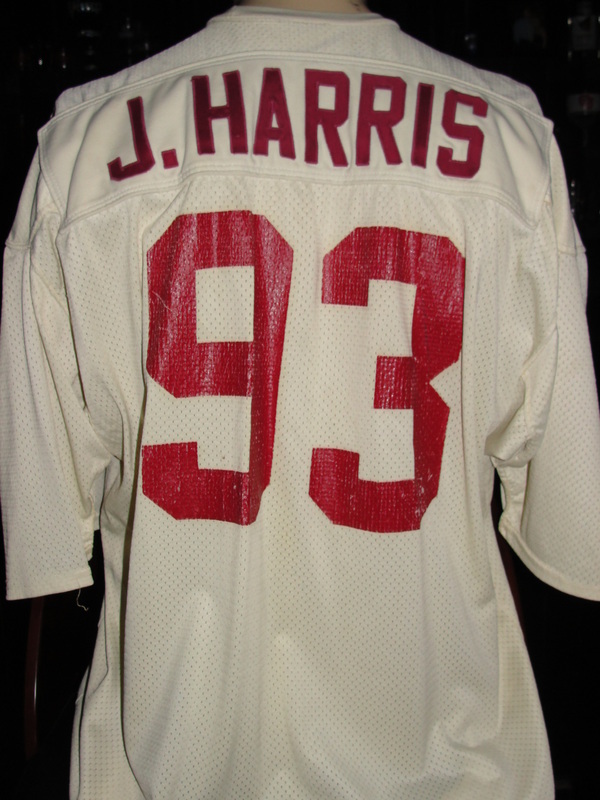 No disrespect to Mr. Harris but I would have loved for this jersey to be a few years older and worn by arguably the Greatest Sooner ever Lee Roy Selmon. 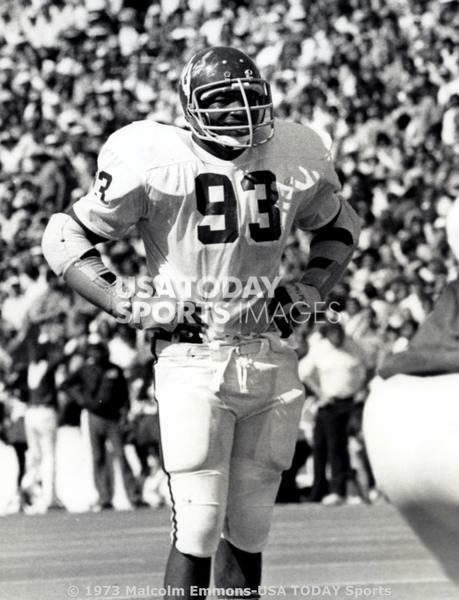 Jerome Harris played on the Oklahoma Defensive Line from 1976 to 1979. During this time he helped Oklahoma accumulate a record of 41-6-1, (4 Conference Crowns) and (3) Orange Bowl and (1) Fiesta Bowl appearances. 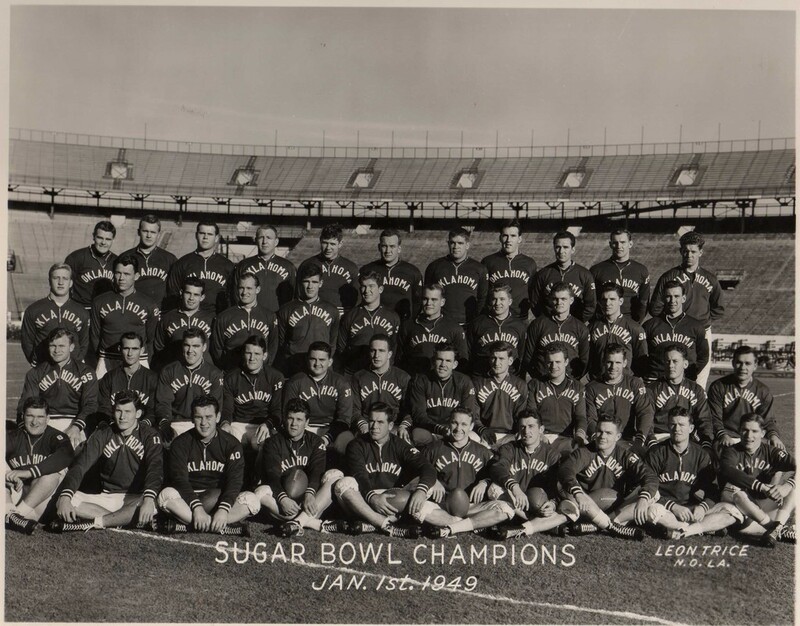 Oklahoma finished 3-1 in those Bowl Games beating Wyoming (41-7 - 1976 Fiesta), losing to Arkansas (31-6 1977 Orange), avenging a regular season loss by beating Nebraska (31-24 - 1978 Orange) and beating Florida State (24-7 - 1979 Orange). 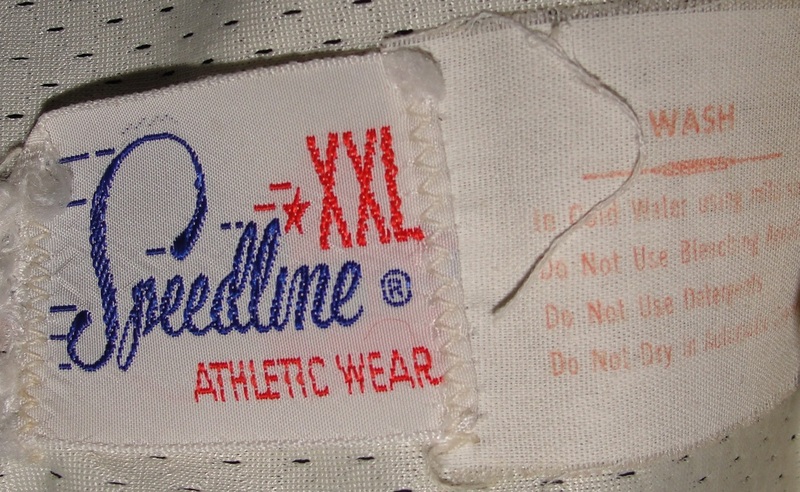 The jersey shows good game wear and is Speedline tagged which is consistent with what Oklahoma wore during this time frame.